Strong Bad Email : "50 emails"
Strong Bad answers 50 emails! wow! HSR : "Woah. 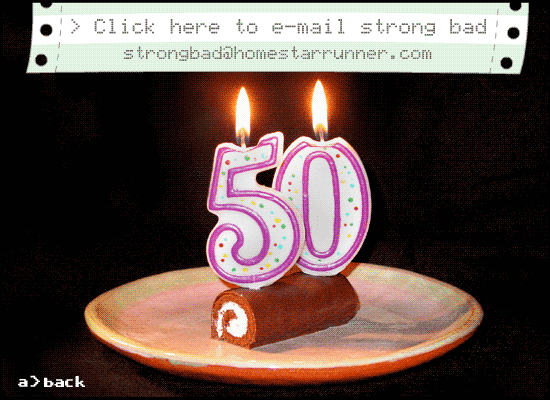 That TV has wohds on it"
Click the swiss cake roll to see old timey Strong Bad deal with meddlesome electronic mail.